Why Does My Female Dog Not Like Other Female Dogs? Aggression between females is an unfortunately common behavioral issue faced by countless dog owners. Households with more than one adult female dog often struggle with conflicting personalities that lead to dangerous fights. While every situation and every dog is different, aggression between female dogs has been linked to a few key causes. Living with a pair of feisty females disrupts the entire household, but continuous fights don’t have to be your everyday reality. Before you can solve the problem, you need to identify it. Here are a few possible reasons why your female dog doesn’t like other female dogs. Dogs are pack animals, and while your domesticated dog is a far cry from being a wolf, those wolf-life instincts often kick in. Dogs that live in the same home are part of a pack, and like any pack, there’s a ranking system. Someone has to be the alpha, and everyone else is a subordinate. The humans of the pack may be the ultimate alphas, but dogs compete with each other for their positions within the family. If you pay attention to your dogs’ behavior, it shouldn’t be hard to figure out who that leader is. Look at which dog walks through doorways first, gets first pick at toys, and takes the best sleeping spot. Subordinate dogs are usually content to stay in their place, but as pack members age, ranks can change. A younger dog may start to sense the older alpha weakening and feel confident enough to take them on. 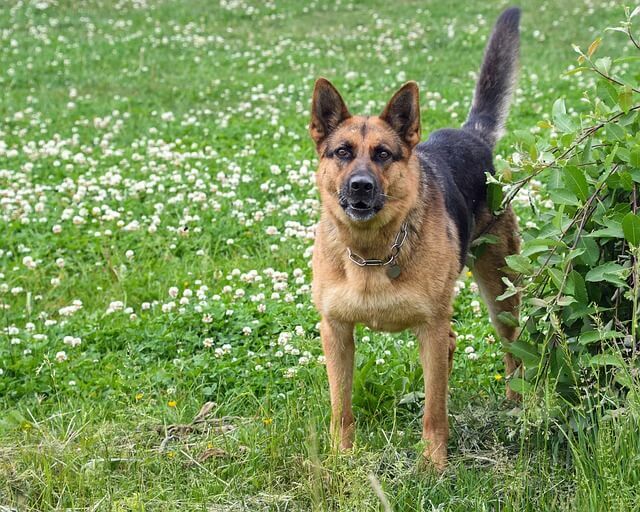 At the same time, an older dog may feel an extra impulse to defend her position. Most female dogs reach sexual maturity between 12 and 36 months old. 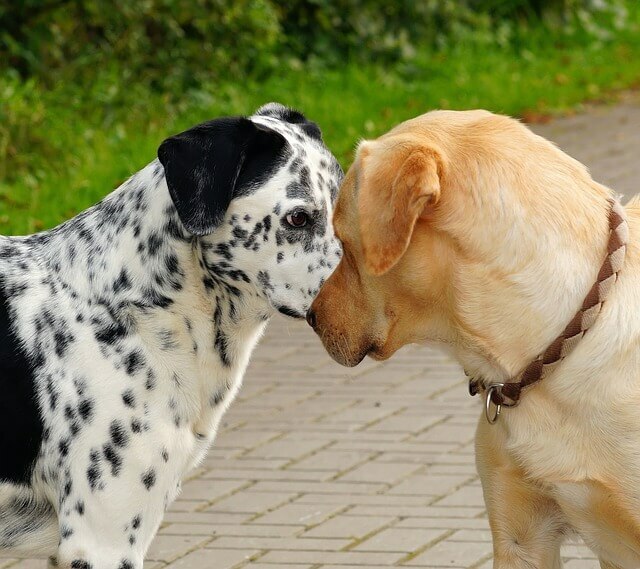 Heat cycles and pregnancy can affect hormones and cause confrontation even in dogs that previously got along. If your two female dogs used to be the best of friends but are suddenly snarling and snapping at each other, hormones may be to blame. This issue can be especially heightened if there is an intact male dog also living in the home. Your female dogs could be fighting over their right to breed with the male, and that competition can be dangerous. If your female dog is showing aggression toward females she meets at the park or on walks, the same issue could be to blame. Females can instantly recognize a possible threat to their position or rights and feel the need to defend themselves. Whether your two resident dogs are fighting or you have a female that lashes out at female dogs she doesn’t live with, your first step should be to talk to an animal behaviorist. A professional will evaluate your dog’s behavior and determine exactly what’s causing her aggression. From there, they’ll suggest a plan based on your dog’s specific personality. They may recommend exercising the dogs separately to release pent up energy and frustration or removing items (like toys and bones) that frequently cause quarrels. It’s always better to prevent a fight than stop it mid-lunge, and a behaviorist will teach you to identify signs of impending confrontation. Intense staring and resource guarding are examples of unwanted behavior. Rehoming one of your resident dogs is an extreme solution, and your goal is to find a way to keep your family together. It will take determination and patience, but it is possible to guide your dog toward a more peaceful relationship with other females. It may require separating the animals for part of the day and supervising their interactions at all times, but if you make it a priority, progress is possible.